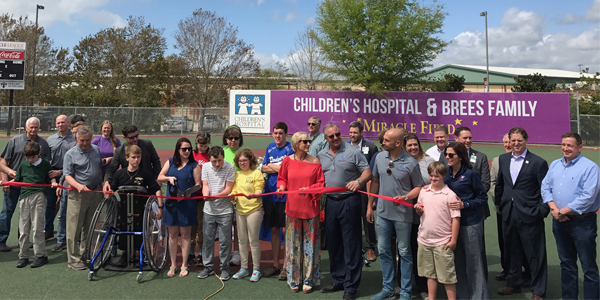 The Miracle League Northshore recently celebrated the ribbon cutting of its new Children’s Hospital & Brees Family Miracle Field located at Coquille Parks and Recreation in Covington, Louisiana! The Miracle League works to provide disabled children and young adults, regardless of their level of disability, the opportunity to play league games and enjoy the emotional and physical benefits of being part of a team. The group promotes the health and well-being of children with disabilities, provides opportunities for non-disabled children to learn about and interact with children with disabilities, and develops community awareness and support for athletes with disabilities through organized sports leagues. Previously, the children played on a natural-grass field, but the dirt and grass design was challenging and unsafe to maneuver from a wheelchair or with crutches used by many Miracle League participants. Coquille Parks and Recreation donated land, and after a years-long fundraising campaign, the group was able to raise enough money to build a brand new special-needs field. The new Miracle Field is a specially constructed surface that uses a cushioned, synthetic turf to accommodate wheelchairs and other walking-assistance devices that, along with appropriate support facilities, is designed specifically for use by children with disabilities. Stirling Properties is proud to have played a small role in this significant accomplishment. In 2016, we selected the Miracle League Northshore as one of the beneficiaries of our annual Stirling Olympics fundraiser, raising $28,000 to help fund the new playing field! Additionally, Team Stirling members—Griffin Lennox and Bradley Cook—have been active volunteers and ambassadors with The Miracle League since 2015. Lennox also serves as a “buddy” for participants with The Miracle League to help encourage learning and fun. 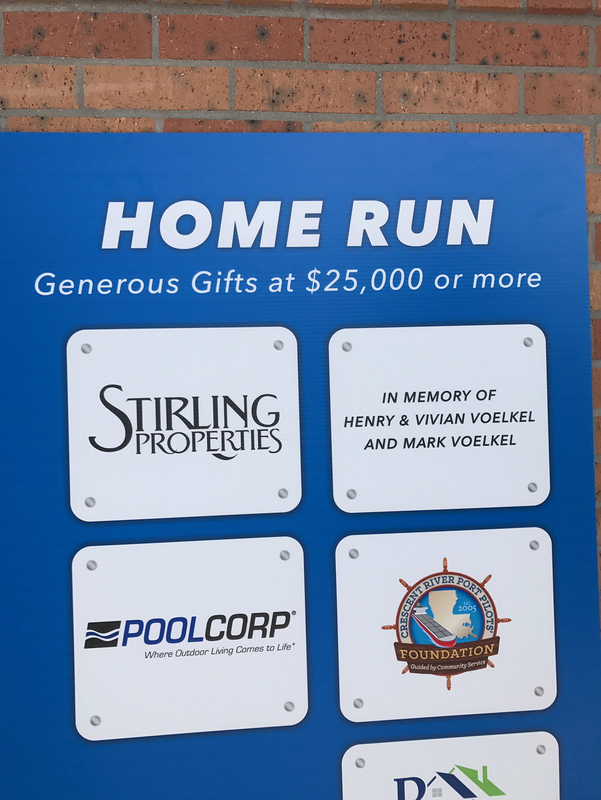 “Stirling Properties is grateful to have had the chance to participate in such a rewarding project and see the Miracle Field finally come to fruition. Every child deserved the opportunity to play sports and have fun interacting with other children—and this new field offers a supportive environment to do that. Being able to work with The Miracle League over the last few years has been incredibly rewarding. The excitement and determination you see on our players’ faces are truly inspirational,” said Lennox. Stirling Properties was one of the many supporters to help bring the project to fruition, but the two major sponsors, Children’s Hospital and the Drew Brees family, really knocked it out of the park! Together, they gave more than $400,000 of the $900,000 it cost to complete the facility. Now, let the games begin! The inaugural spring baseball games have kicked off. Visit miracleleaguenorthshore.org to learn how you can get involved. Volunteers and financial support is needed for continued operation of the Miracle Field.